Fujifilm has continued to expand its lineup of X Mount lenses to include a wide range of focal lengths, from wide angle to ultra-telephoto. To further expand, there are now plans to develop a telephoto prime lens and an ultra-wide angle zoom lens in response to the growing needs of professional photographers and photography enthusiasts. 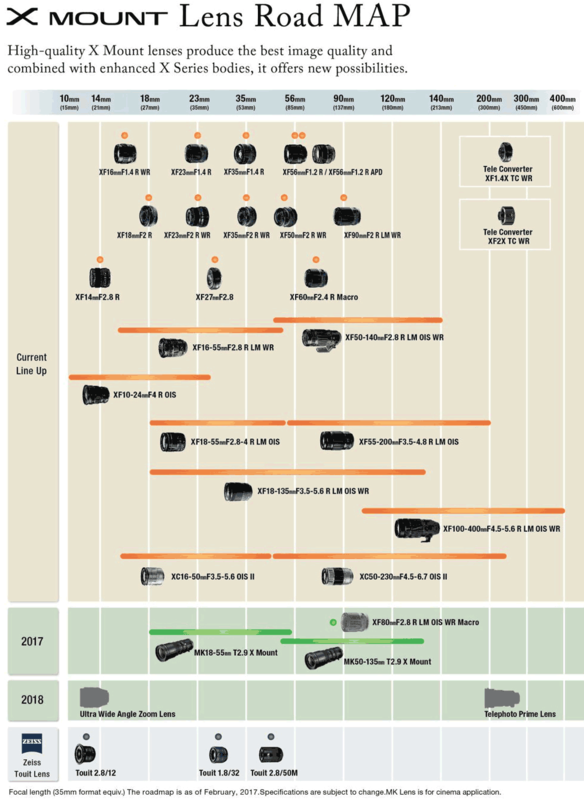 Fujifilm will continue to expand the lineup of X Series digital cameras and lenses to meet the wide range of needs from still photography to video recording. This entry was posted in Fuji and tagged Fuji Fujinon XF 200mm f/2 R LM OIS WR, Fuji Fujinon XF 8-16mm f/2.8 R LM WR lens, Fuji roadmap, Roadmaps. Bookmark the permalink. Trackbacks are closed, but you can post a comment.